Always making notes for a competitive exam like CSIR NET Exam pattern for chemical science which is helpful for you. When you would have to make a huge amount of revision or you want to revise some forgotten points & at that time your notes are the best option for you for preparing a study. Always make notes in the language where you are more comfortable and easy like someone is comfortable in Hindi, English. Because it is very comfortable for you while you are doing revision and draw the notes chapter vise for clearing all the concepts. Never try to do exact copy from the book and past it in another notebook. Firstly you read all the points then convert it into your own language. If you joined CSIR NET Training Institute in Pune or you attend regular school then sometimes teachers do very funny jokes related to that topics then note down all that things then at the time of revision or exam, it is very helpful for you. Always marks to the important points like uses different colors of ink like yellow, pink, parrot color, or any other faint color. While you are making notes then you will revise all that things every night because of that you will remember all the things & you don’t get any pressure at the last moment. Try to use own tricks, tactics, and shortcuts then apply it. Then you get it very easy. Make your notes in A4 size paper than notebooks & file them together. Because of that at any place, you can do a study. Always keep these pages in your pockets. This habit is very good & Helpful for you. If you have any confusion in between any concepts then write that concept then make a big cross on that concept. Then write exact meaning because of that you don’t forget that concept. Make one notebook especially for a mistake. When you are giving a mock test as a revision point of view at that time what the mistake you are done note that all mistakes like formula or concepts. And do the revision of that point then it will get east at the time of final exam which is helpful & at that time, you can’t make such mistakes. 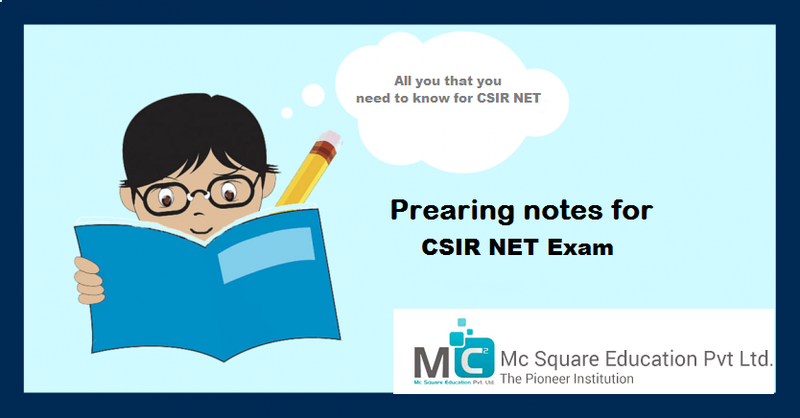 These are the important tips while you are making any notes for CSIR NET online exam & any competitive exams.